Pioneers in the industry, we offer diminazene diaceturate,cyanocobalamin & pyridoxine hcl granu and isometamidium chloride hydrochloride from India. Diminazene is highly active against Trypanosoma spp., Babesia spp. and Theileria annulate 1.05 g diminazene diaceturate sufficient for 300 kg of body weight. To be dissolved in15ml of water for the preparation of an injectable solution. Diminazene is highly active against Trypanosoma spp., Babesia spp. and Theileria annulate 10.5 g diminazene diaceturate sufficient for 3000 kg of body weight. To be dissolved in 150 ml of water for the preparation of an injectable solution. 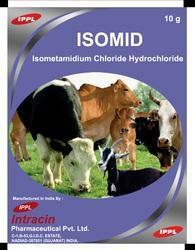 Isometamidium chloride hydrochloride 1000 mg.
ISOMID is indicated for treatment and prevention of trypanosomiasis caused by Trypanosoma spp. in Cattle, Goats, Sheep, Camels, Horses and Dogs. A preventive dosage ensures protection for 2 to 4 months. When clinical cases occur, the whole group should be treated. ISOMID should not be administered subcutaneously.Avoid concurrent administration of other trypanocidal drugs, particularly diminazene aceturate. Avoid underdosing. For parenteral administration. Dissolve the content of one sachet of ISOMID (1 g) in 50 ml or 100 ml of sterile water for injection to obtain a 2% (20 mg/ml) or a 1% (10 mg/ml) solution, respectively. Repeated injections are needed at intervals of 10 to 12 weeks or more, depending on the level of fly challenge. 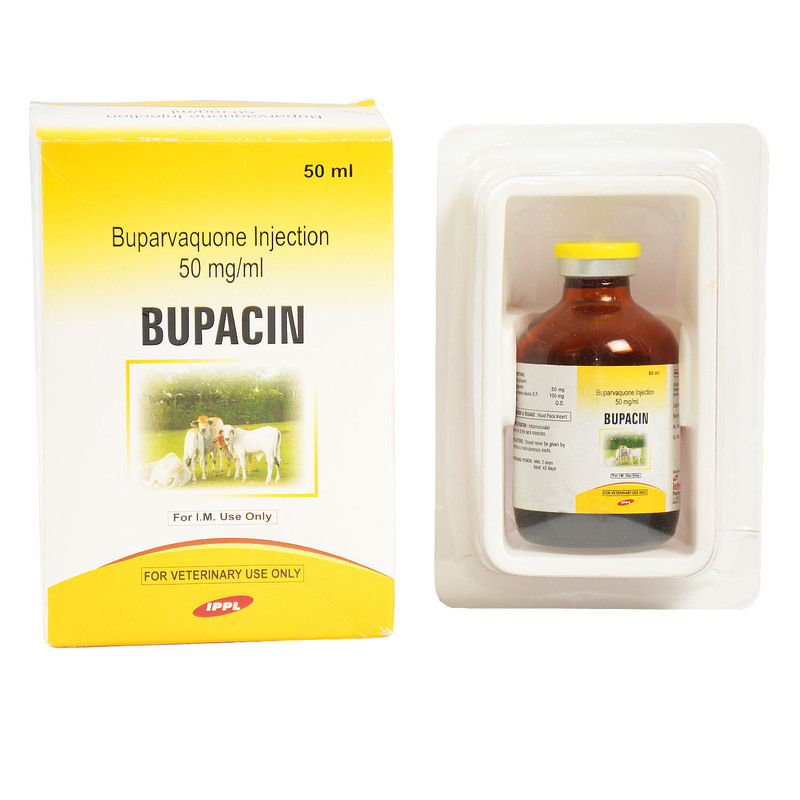 Calves, Goats and Sheep : treatment : 0.25 - 0.5 mg/kg by deep IM injection. prevention: 0.5 - 1 mg/kg by deep IM injection. Camels : 0.5 - 0.75 mg/kg using a 1% solution by very slow IV injection. Horses : 0.5 mg/kg by deep IM injection. Dogs : 1 mg/kg by deep IM injection. Deep IM injection should occur preferably in the middle third of the neck in large animals. Doses exceeding 10 ml should be injected at multiple injection sites on each side of the neck. Make sure that the syringe is completely empty before retracting it from the IM injection site. Afterwards, to prevent leakage of ISOMID into subcutaneous tissues, firm pressure must be applied on the injection site. Sheep and Goats are injected deep in their thigh muscles. For meat : 30 days.